We were fresh off our Peter Pan scavenger hunt around the Disney Studios lot when we find Deric McCabe waiting for us. He’s lively and offers his best Vanna White impression while showing off the Peter Pan loot at the front of the room. This is actually my second time meeting Deric and he’s definitely feeling more relaxed this time around. 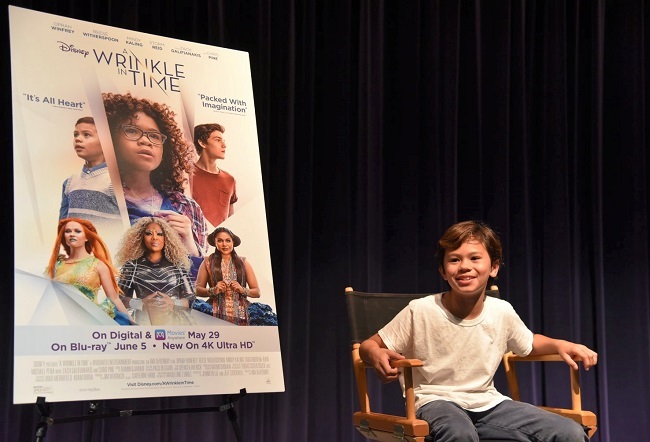 I first interviewed him at the Wrinkle In Time press junket in February. 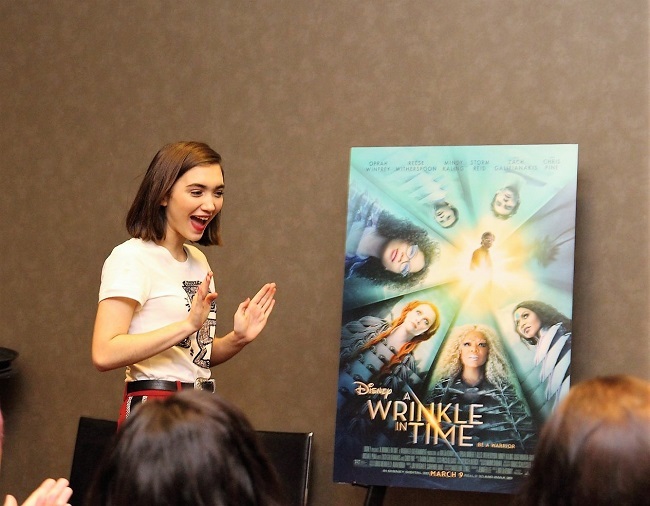 Deric quickly moves onto the Wrinkle In Time poster for a few candid shots before sitting down to begin the interview. He likes that we raise our hand, so he points and says, “you” and the interview begins. What are some of your favorite memories from filming? Deric shares, “Oh, the hallway scene. The stuntmen were pulling them and they couldn’t see because they couldn’t be in the shot so I stopped and they kept going and I fell on top of all three of them.” Deric mentions that this outtake is in the bonus footage, “so get the DVD!” he encourages. Did your friends see the movie and what did they think of it? “Scarlett Johansson and Chloe Bennett. Just them. They are delightful. I haven’t met them. They are hot and they love me even though they don’t know me.” We all laugh and remind ourselves that Deric is just nine but already girl crazy! What were your experiences with Mindy and Reese? Deric shares that during his scenes with Mindy (Mrs. Who) that she only spoke in riddles and he couldn’t understand her. But added that he loved her and they had some great conversations. He also mentioned that Reese gave him lots of hugs and whenever they were between cuts they chatted a ton. What is your biggest goal, wish ever that you have for your career? In his spare time, Deric shared that he loves to eat and do cartwheels. That’s a nine-year-old for ya! He was such a bundle of joy to interview and I can’t wait to see what his next project will be. 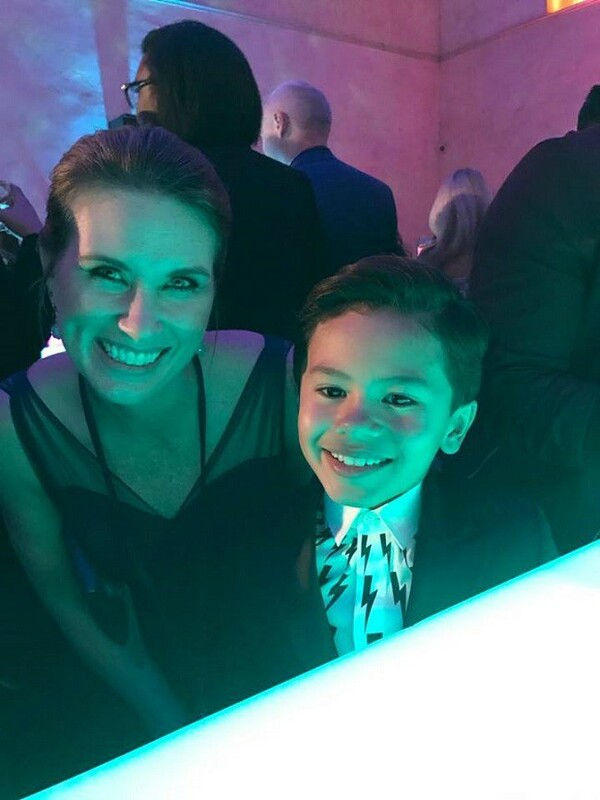 As I mentioned above, I met Deric during the Wrinkle in Time press junket, and at the afterparty, I chatted with him and his mom about the film. She was so sweet and quick to tell me that acting was Deric’s passion from an early age. He really pushed his parents to put him in acting lessons and they are so happy for him. I hope you enjoyed this exclusive Deric McCabe interview! 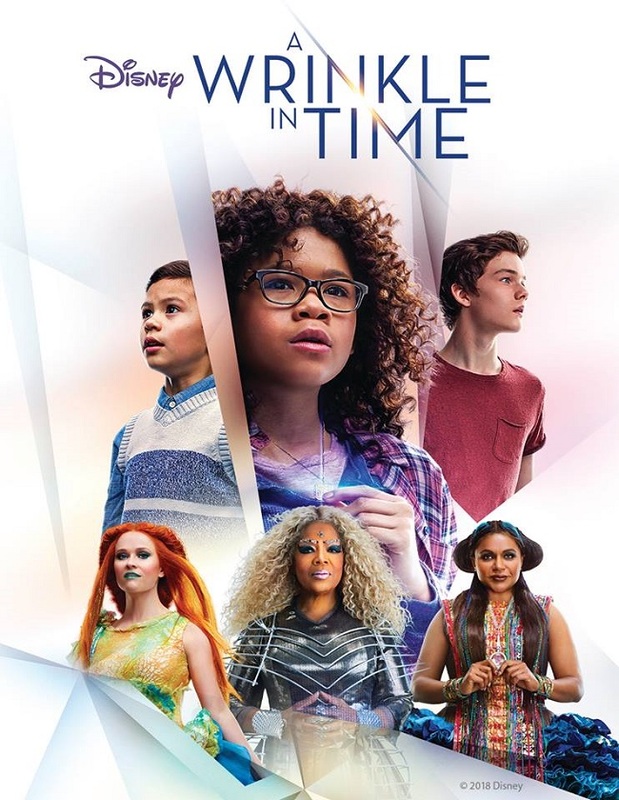 Disney’s A Wrinkle in Time is now on available for your at-home collection! Buy your copy today. 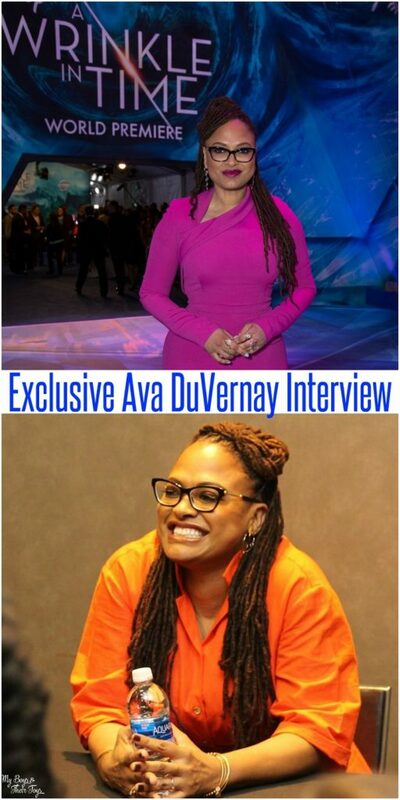 Ava DuVernay, Oprah Winfrey, and the cast and crew. 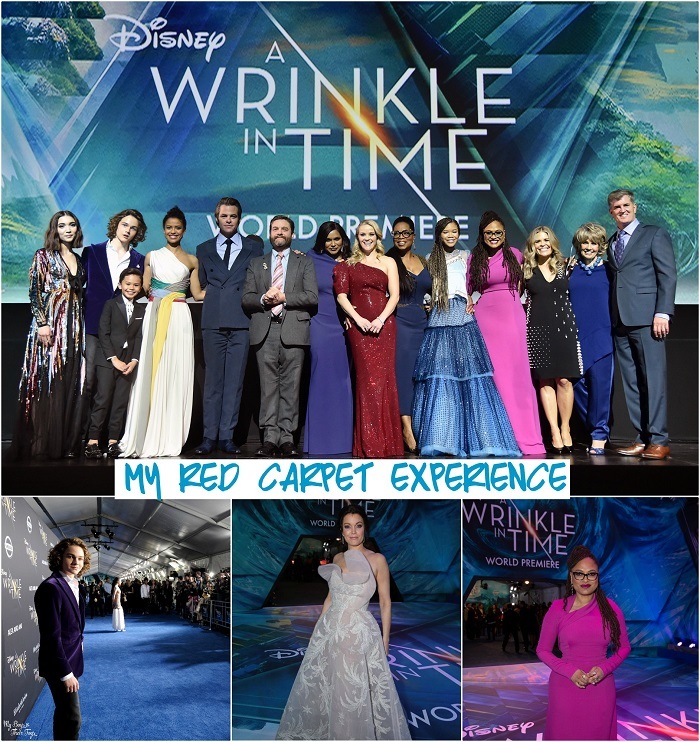 Enter for your chance to win A Wrinkle in Time Blu-ray combo pack! I have not watched this movie yet. My niece rally liked it though. I have not seen the movie yet but I cant wait to, it was one of my favorite books to read along with A Swiftly Tilting Planet .. I haven’t seen it yet. I did love the books as a kid. I absolutely loved reading the book and the movie looks like it will be good too! I haven’t seen the film yet but I loved the book, so I’m excited to see it. I’m sorry, I have not seen this movie. It’s a family film for both adults and kids. I have not seen the movie, yet. I would love to watch with my daughter. I love the message “you are enough”! I have not watched this movie yet, but would love to. I know my girls would like it. I have not yet seen the film, but my daughter and I read the book together. We loved it! 🙂 Thank you. I have not watched the film yet. I read the book as a child, but the trailer looked weird. My favorite part was when she got her brother back. I’m not going to lie, this movie made me tear up. 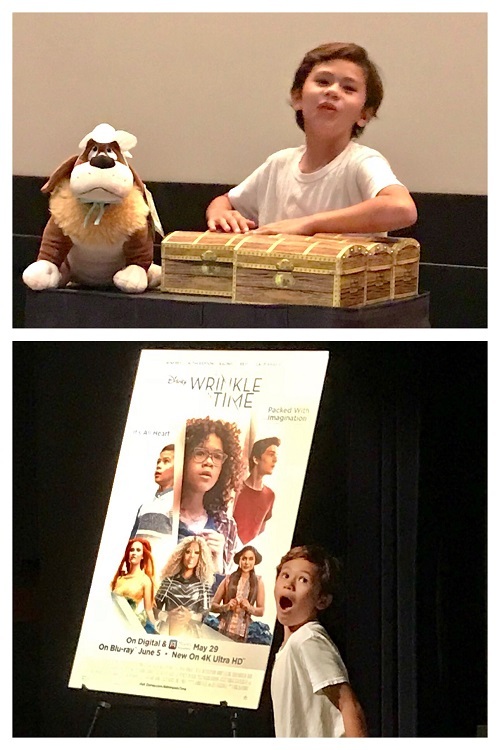 Luckily my son and I were in the very back row! I have not seen the movie, but really want to! Read the book. Looking forward to seeing the movie. I haven’t seen the movie yet but it looks really good and I really want to see it. I read the book and remember it being amazing, so I’d love to see the movie. Have not seen this movie yet, but looking forward to it. I haven’t seen this film yet. but I can’t wait to! Thanks so much for the chance! I have not seen this yet, but it looks like a great movie. I haven’t seen the film yet, but I loved the book when I read it in school years ago. I enjoyed the film because of the films message of love. Thanks for hosting. I hope that I win. I haven’t seen the film yet, so I have nothing to like best yet. I do recall reading the book in grade school and enjoying it, though I remember very little about the plot as it was a long time ago. Thank you for the chance to win. I haven’t seen it yet but I loved the books when I was a kid. I haven’t seen the movie yet, but I loved the books as a kid! I loved the previous movie and can’t wait to see the new edition! Overall, I liked the story the most. And the visuals was great as well. I don’t have a favorite part because, unfortunately, I haven’t had a chance to see this one yet. I haven’t seen this yet to know my favorite part but I really want to see it. I haven’t seen the film yet so I don’t know what I like best. i haven’t seen the movie yet. i can’t wait to see it. I have not seen the film yet, but cant wait too! I loved the book as a kid <3! In all honesty, I have not seen the movie, but would love to watch it with my daughter. I haven’t seen the film, so I don’t know what I like best yet. Thanks for the giveaway! It seems like it might be interesting to watch. The dialogue of Mindy Kaling! Unfortunately I haven’t seen the movie yet to answer that question. I like that Disney made it. They always make the best family movies. 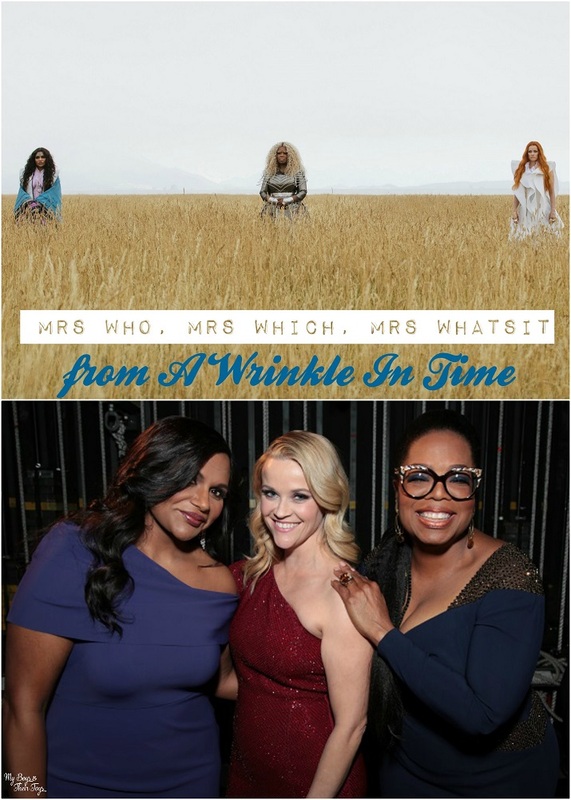 I love Oprah and Reese Witherspoon so I really want to see that movie. I haven’t seen the movie but I like the cast. I haven’t seen the movie yet,but so far I like the interviews. I like the diverse cast! I haven’t seen this movie yet but would love to watch it with my 4 boys!!! What I like is that the movie is suitable for all children.